The Republic of Palau announced the signing of a 30-year Power Purchase Agreement of a proposed plan to develop and deploy a 35MW solar PV and 45MWh battery storage microgrid in Palau. 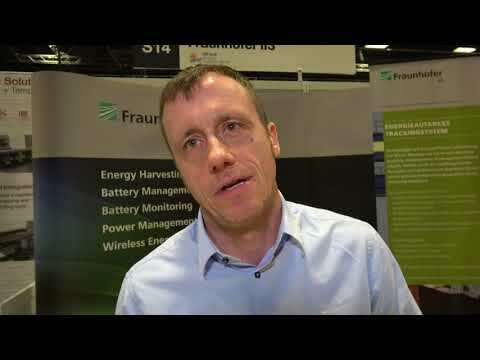 A representative of Fraunhofer IIS discusses their thermogenerator wristbands, which upconvert voltage collected to power commercial devices, such as bluetooth devices, smart watches, etc. 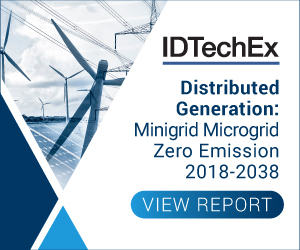 Energy storage systems that are able to cope with fluctuating wind and solar power production are indispensable for the success of the energy transition. So far, however, location-independent and low-cost power-plant-scale storage systems have still been lacking. 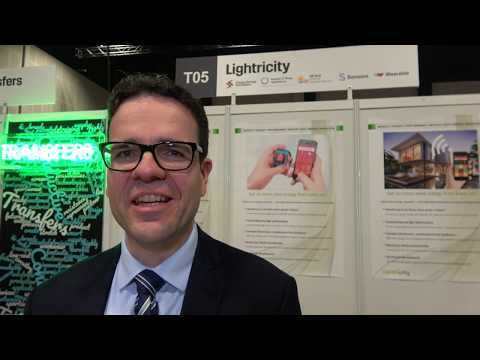 Lorandt Fölkel, Technology Ambassador for Würth Elektronik eiSos describes the products on display at the IDTechEx Show! Europe 2018. Plans to construct three tidal energy sites in the waters around the Isle of Man have been cancelled, three years after they were announced. The innovative collaboration of Voith and Siemens intends to broaden their relationship by defining potential forms of collaboration for appropriate hybrid power projects containing hydropower. A leading African telecom integrator, will install the new GenCell A5 Off-Grid Power Solution at 800 telecom base stations across Kenya. Solar & Storage Live is one of the UK renewable energy industry's premier annual events and is attended by a range of technology developers and policy makers with an interest in the solar & storage market, both in the UK and internationally. ScottishPower has become the first integrated energy company in the UK to shift completely from coal and gas generation to wind power, after completing the sale of its traditional generation business. The global generator set (genset) industry is amidst a period of change and is under pressure from a variety of external considerations. Scientists have developed a photovoltaic organic material that captures light efficiently and that potentially could be coated on building materials. Approximately 185 m² of Heliatek's organic photovoltaic films were installed on the façade of a warehouse of the Duisburger Hafen AG in August. Lightricity discuss their ambient light energy harvester, the highest in the world. In this case employed in a watch, however, other customers are applying it to different applications. Can thermoelectric energy harvesting succeed in a new form? Thermoelectric energy harvesting is a failure when set against the publicity of participants over the last 30 years. "The roaring mountain gave forth a mouse". Current versions do not scale above kW and are rarely used above mW - serious because the market for energy harvesting above 1W is about 100 times the value market below. 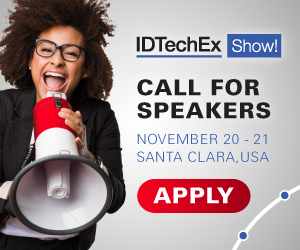 IDTechEx will be hosting a free webinar on Tuesday 23 October titled Multifunctionality is the key next step for polymer composites. The Australian Renewable Energy Agency announced it was partnering with Monash University and technology partner Indra Australia to trial a microgrid on Monash's Clayton campus that will see the campus powered by renewable energy. SOLshare has developed the world's first peer-to-peer solar electricity trading platform that leverages existing solar home systems in an off-grid context to create a bottom-up smart grid. This new technology will be used to provide silent, zero emission power.